We bought some pre-made ribs at the grocery store. Rather than go with fatty salads from the deli, I bought some small new potatoes and zucchini. After slicing the zucchini and salting it to draw out some of the liquid, I put the potatoes on to steam. 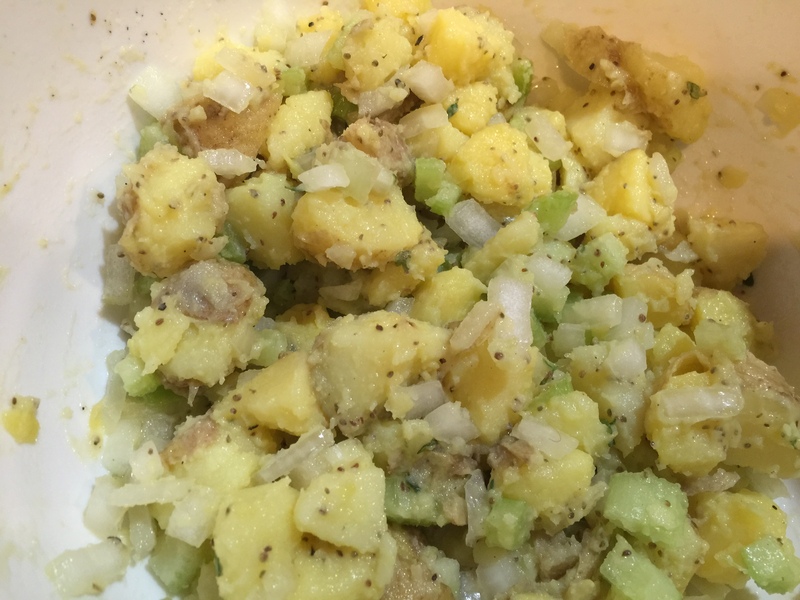 When the potatoes were done I cut them up right away and dressed them with olive oil, salt, and celery seed so the potatoes would soak in the flavor. I also added onions and celery. The potato salad would be served warm or room temperature. 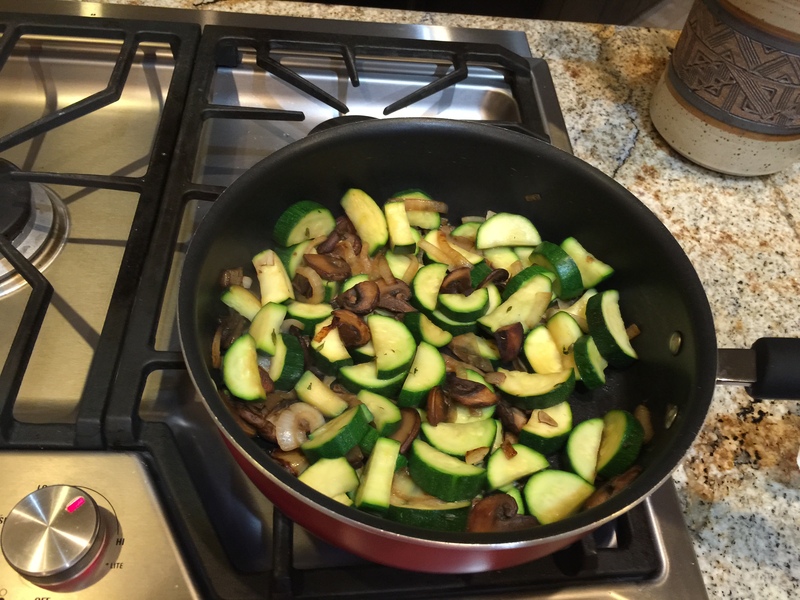 After sautéing onions, mushrooms, and garlic I added the zucchini to cook. Some thyme from the backyard finished the dish. Finally John heated the ribs in the microwave and we had a “real” dinner. 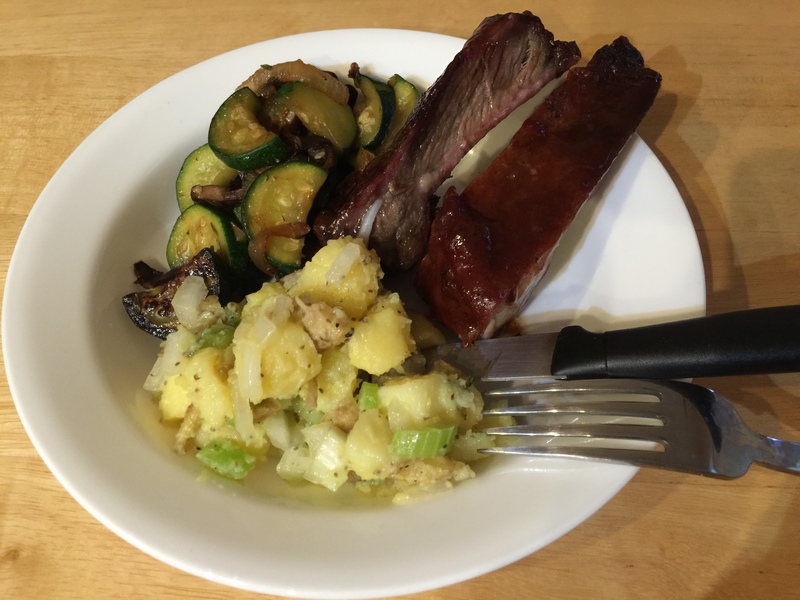 This entry was posted in Uncategorized and tagged Potato salad, zucchini. Bookmark the permalink.